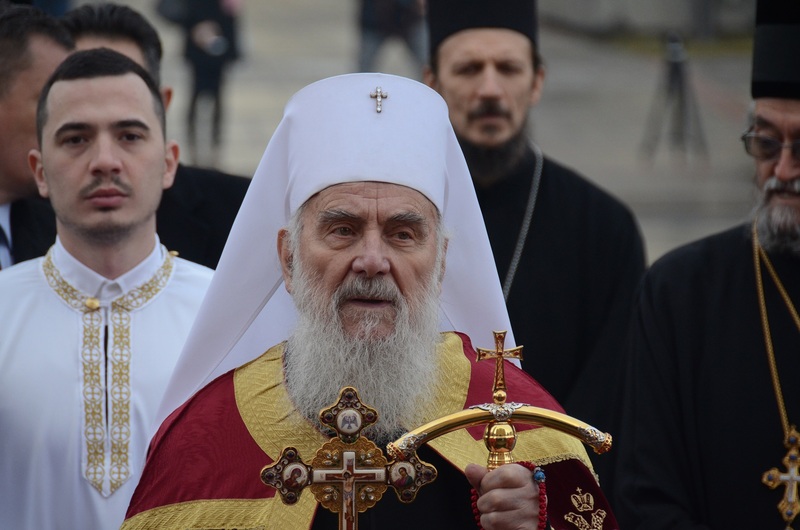 The statements of the Serbian Orthodox Church (SPC) patriarch Irinej on the protests in Serbia and Bosnian entity Republic of Srpska have provoked reactions, both within the clergy and the citizens who criticized them in the social media. “I have been following the recent demonstrations in the streets of Banjaluka with big concern. Those who wish nothing good to Republic of Srpska and Serbian people were satisfied at that time. I do not see that there will be benefits from inciting that kind of protests in Belgrade and throughout Serbia. Maybe somebody does not see that, or does not want to see it – but these processes are connected”, patriarch Irinej said in the interview for Politika daily on Sunday. The patriarch’s statement will not “bring benefit neither to him and the church, nor to the Serbian government”, said Ljubomir Rankovic, priest and the editor of the Voice of Church (Glas crkve). “The Serbian Church, as a popular Church, was always on the side of its people, throughout history. It would be more useful if the patriarch prompted president (Aleksandar) Vucic to talk with the protesters, because as president himself has said, there are ‘decent people’ among them”, Rankovic said, explaining that when the Church chooses between the people and the government, “it should always side with the people”. “The governments are temporal, while the people are eternal”. Rankovic underlined that the patriarch’s statement “does not represent the position of SPC”. “That definitely cannot be the position of the Church …his statements are not binding. The only institution which can define the position of the Church is the SPC Holy Synod”, he explained. He recalled the events from January 1997 when late patriarch Pavle, Irinej’s predecessor, had supported students during mass demonstration over the electoral fraud in Slobodan Milosevic era. “The patriarch Pavle had great authority. In some way, he acted constructively in that moment, being on the side of his people”, Rankovic told N1 television. Opposition politician Zoran Vuletic said that patriarch Irinej’s statement “was not surprising”. “The interests of the Church dignitaries and the citizens have been opposite for decades. They (clergy) want to stop the creation of a modern society, with the EU membership as top priority at any price”, Vuletic told Danas daily. Last year, patriarch Irinej praised president Aleksandar Vucic by saying that he “fights like a lion for Kosovo”. During the protest on January 16 which commemorated the first anniversary of the assassination of Kosovo Serb politician Oliver Ivanovic, protesters were prevented from entering the Saint Save Temple in Belgrade. The Church said this could not have been allowed because of Russia’s Vladimir Putin visit next day. During his visit to Belgrade, Putin was also in the Church.